. ..and through his creation we learn much about him! 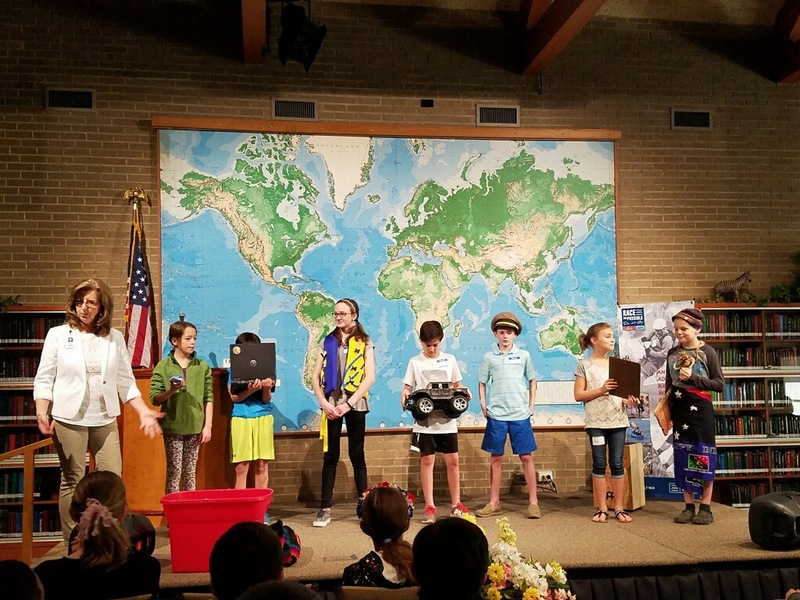 With an abundance of creation to study, elementary science students had much to share about God in their science night presentations and displays. 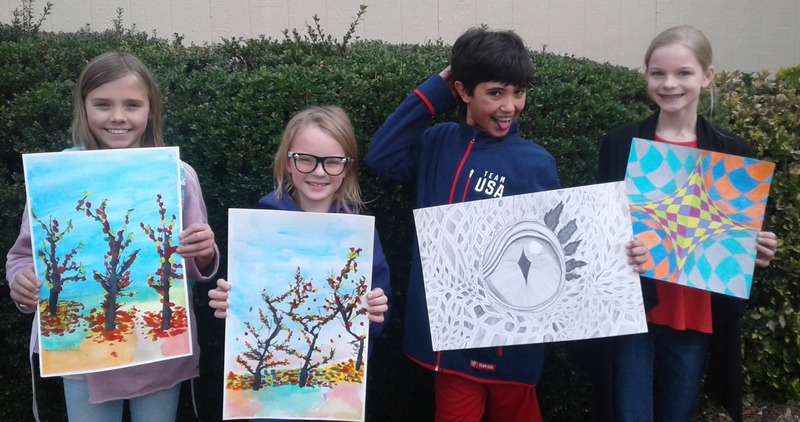 Throughout the grades, students have learned about light and dark, animals that crawl on their stomachs and animals that walk on four legs, stars bigger than we can image and atoms smaller than we can see--the list could go on. A job well done to all the students and teachers for a spectacular night! 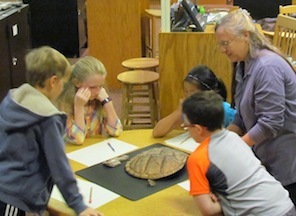 During their field trip at the York County Museum, first through fourth grade science classes explored creation up close. 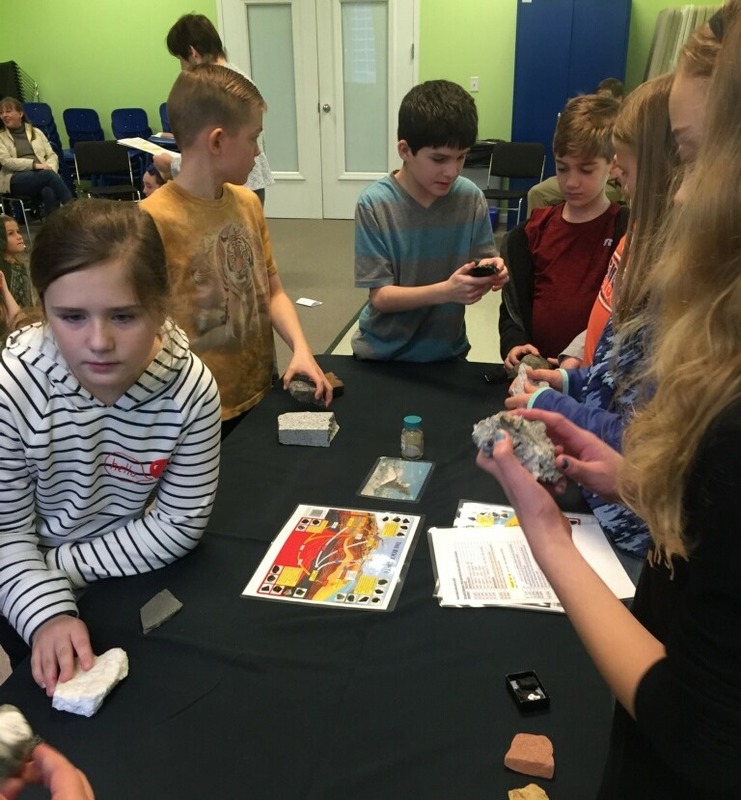 Students learned about rocks and how they erode, furry creatures from everyday, and galaxies beyond human sight. 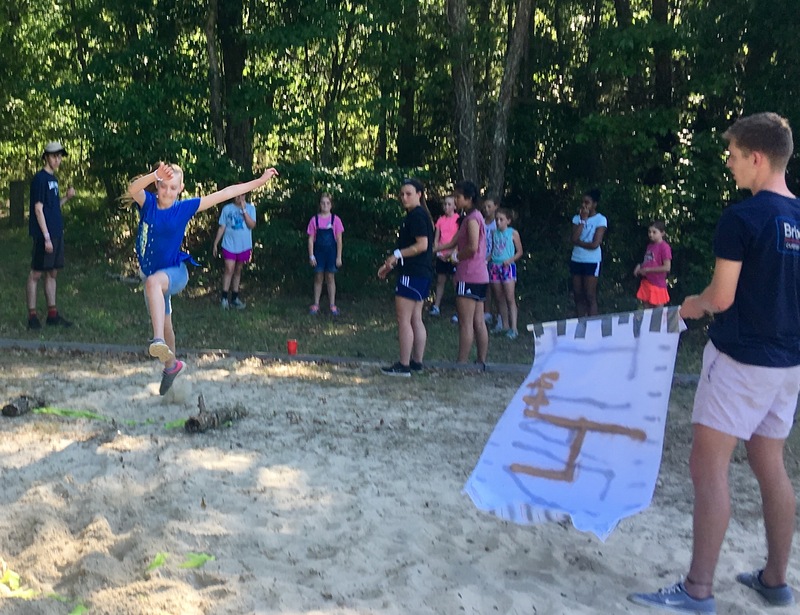 Many of the fact they learned add hands-on experience to the earth science and astrology classroom lessons they have learned this year. LPA drama students starred in Max Lucado's The Crippled Lamb, which tells the story of a young lamp with a limp who finds his purpose when he witnesses Christ’s birth. 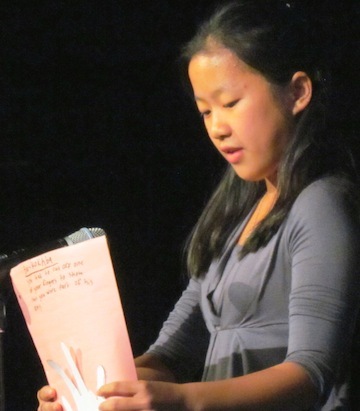 Throughout the drama, music student provided support for the performers in short interludes of Christmas hymns and carols. 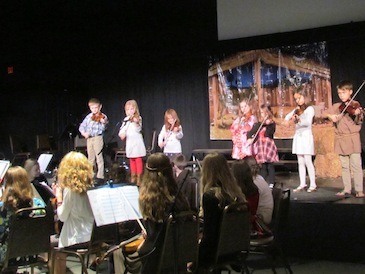 Among the musical performers were the primary grade music and a combined elementary and secondary orchestra. 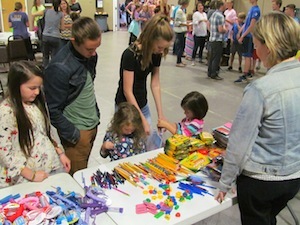 As the grand finale of the evening, guests and students enjoyed warm drinks and bake sale goodies as they walked through art displays created by art classes of all levels. 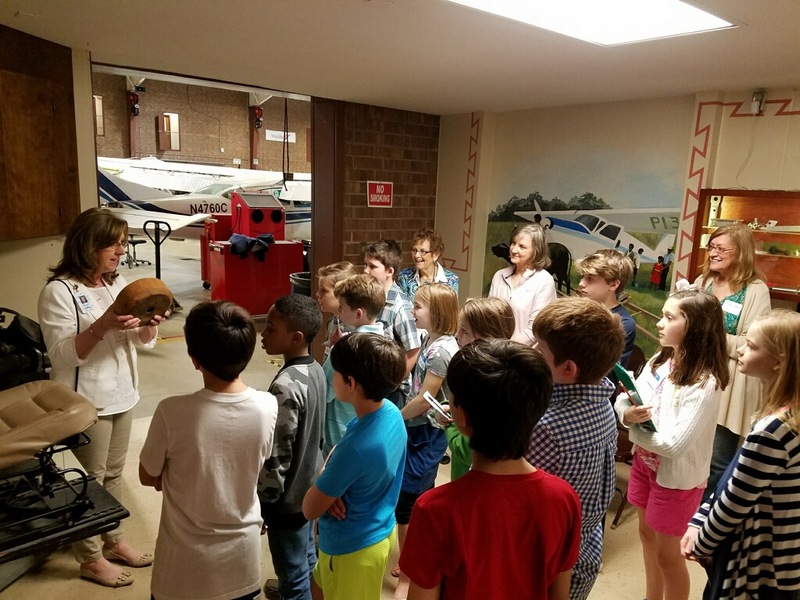 Students in grades 5 and 6 took advantage of a traveling exhibit's nearby stop to deepen their history studies. 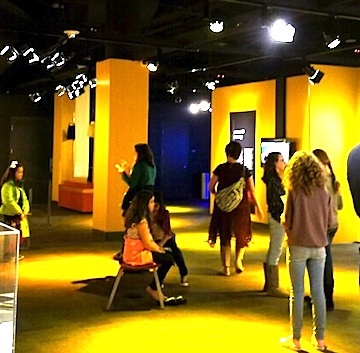 Friday, they visited Charlotte's Discovery Place to attend the Ancient China IMAX experience the Gengis Khan exhibit. 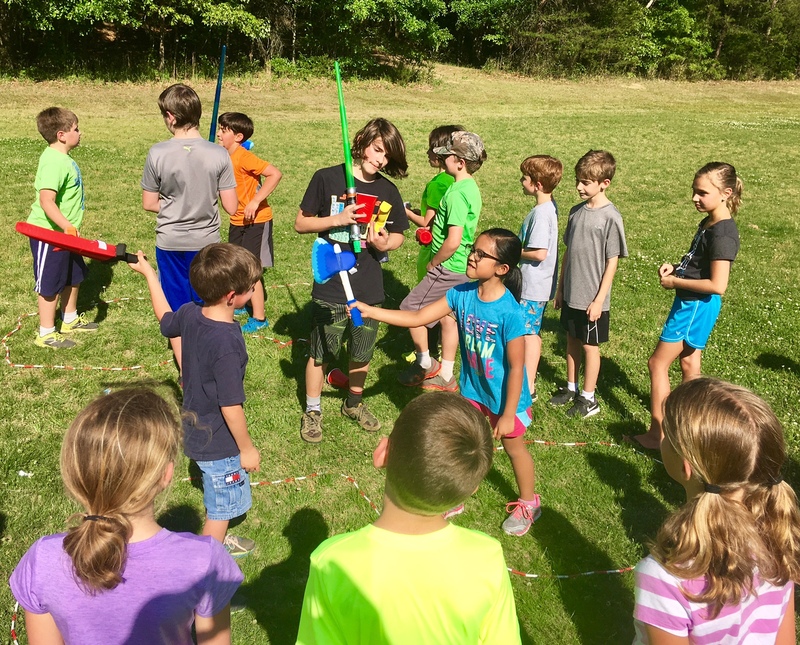 With the 5th graders studying ancient history and the 6th graders studying the medieval period, the trip was a rare opportunity to learn more about Asia. In addtion to Mrs. Brewer and Mrs. Gillespie leading their students, many parents attended, including some dads! 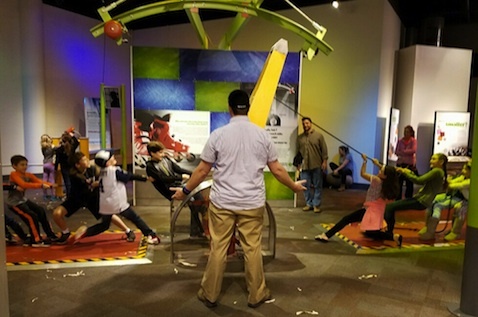 The group also took afternoon time to enjoy the rest of the exhibits at Discovery Place. Second graders recently studied the four medieval levels of social, wealth, and power by making four-level box models. The levels are those closely represented on a chess set. Using household items, dolls, and Lego bricks to distinguish between royalty, religion, privilege, and peasants is simple, yet profound. Boosted by discussions with both parent and teacher, the six-year-olds got a concrete understanding of status. In stacking boxes, each student saw that people lived in different positions. Mayans gazed in wonder at the Hebrew Tabernacle. Egyptians were inspired by the Gettysburg Address. And representatives from various nations and eras of church history reminded the audience that God loves all people groups and that history has a purpose in His plan. 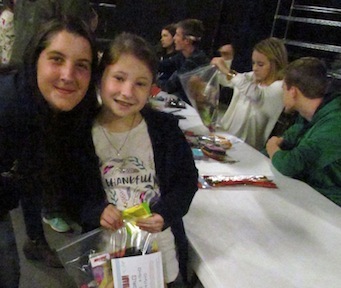 Students and teachers combined for a very successful History Night and are to be commended for their efforts. Grades K5 through six each presented a program on their studies so far this semester. 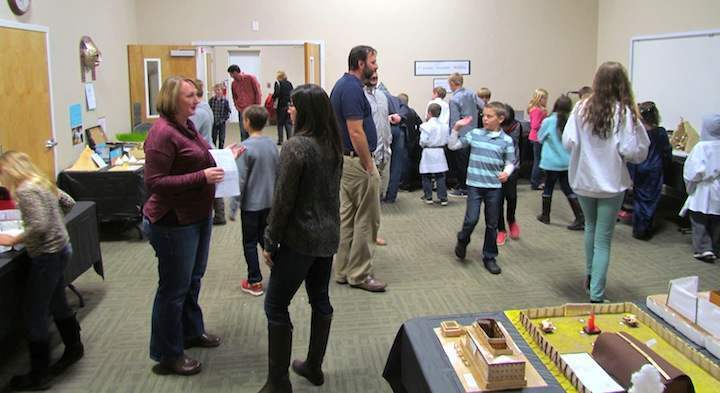 Additionally, various history projects were on display for all the families and extended families to see. 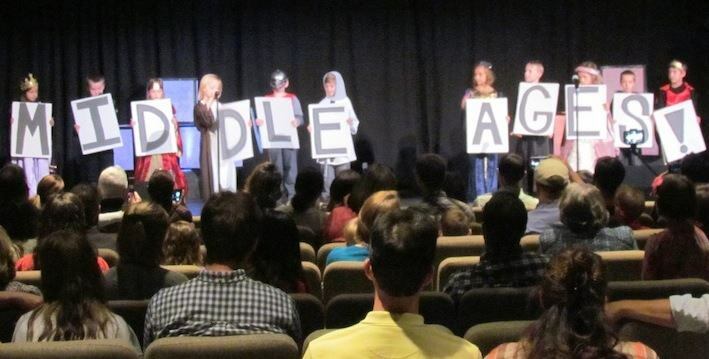 Lake Pointe's curriculum uses the teaching of four periods of history: ancient, medieval, early modern, and modern. With one period studied each year, this cycle repeats every four years through 10th grade, after which students study American History and Government. 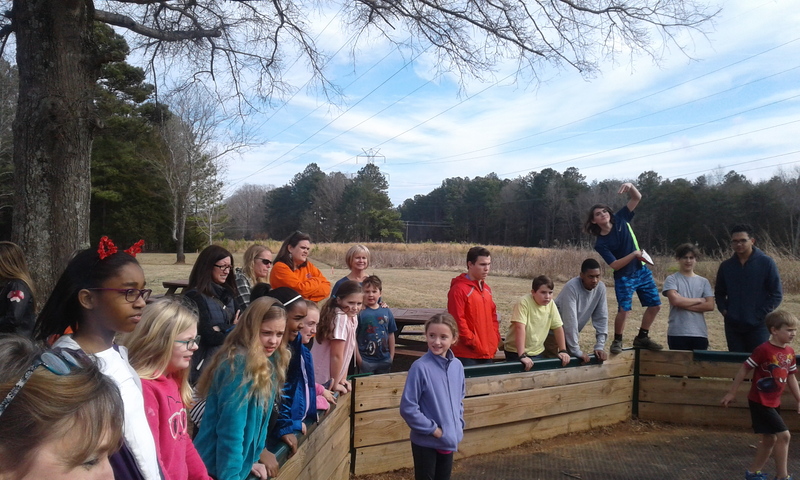 5th grade scientists traveled around the lake to the Museum of York County for an amazing field trip. 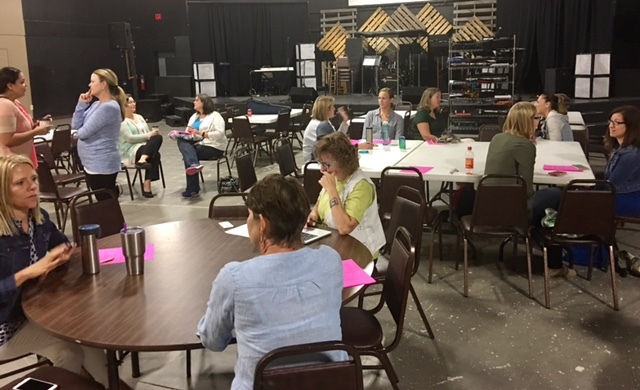 Elementary science teachers, Mr. Fleming and Mrs. Benigni, led the event. 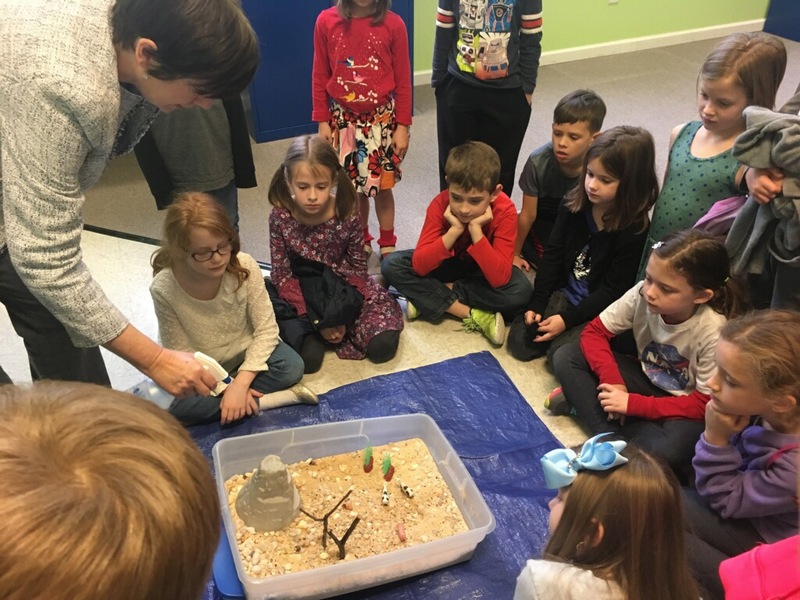 Assisted by the excellent museum staff and its facilities, the students "dug" into fossilization and the study of bones in the naturalist center. 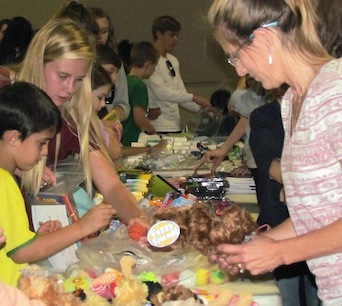 After the presentation, students were encouraged to open the various resource drawers and cabinets in the nature center room.